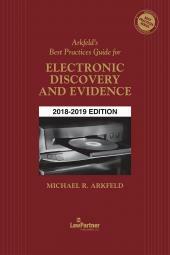 The new edition of Arkfeld's Best Practices Guide: ESI Pretrial Discovery — Strategy and Tactics contains procedural steps, strategy and substantive law considerations related to the pretrial discovery of "electronically stored information" (ESI). 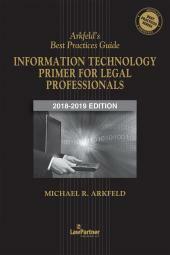 These practices are intended to be used as general guidelines for the discovery and production of ESI. 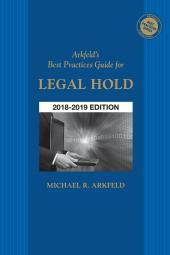 Depending on the unique issues of your case, these suggested practices may necessitate a different approach and should be considered on a case-by-case basis.